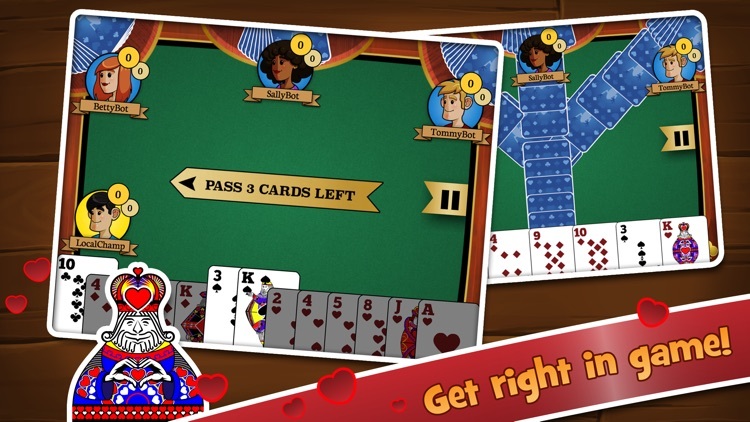 Everyone loves playing the Hearts card game, but let’s be honest, when you’re playing against a computer it’s just too easy. 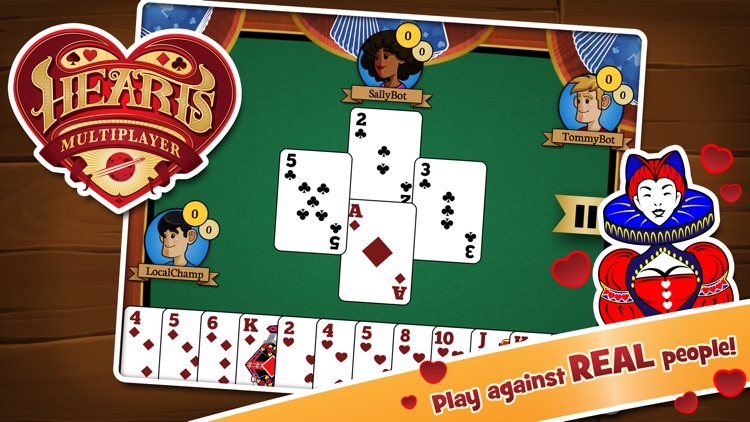 Well, we’ve got something much better for you: Hearts with real multiplayer games! Don't worry, it includes a single-player mode too! 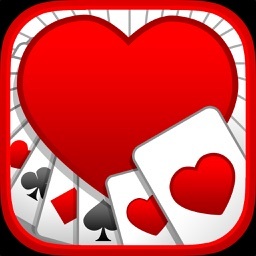 Now you can play Hearts against real people, and it’s totally free! 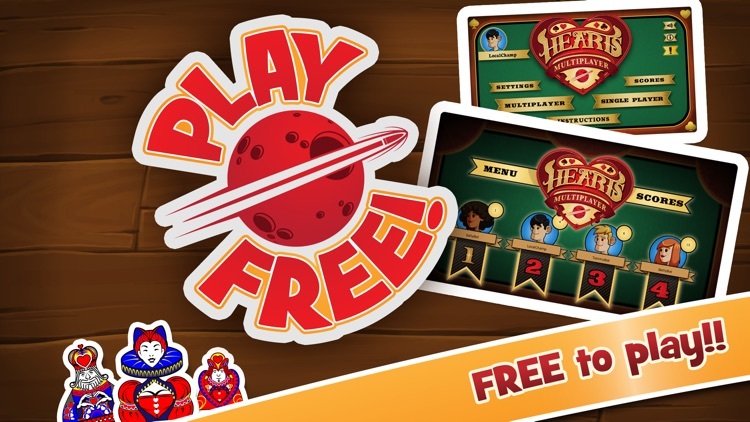 Made by Blue Frog Gaming, this multiplayer version will test your moon-shooting skills against real live opponents. • Play via the Internet. You don’t need 4 friends in the same room, just jump in at any time. • ELO ratings, just like the pros use, so you can brag to your friends about how good you are. 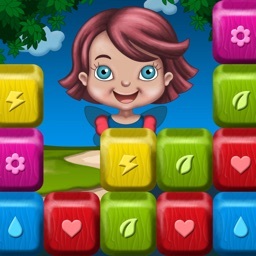 • A matchmaking system that pits you against people of a similar skill level. • A Quick queuing system that gets you right into a game. 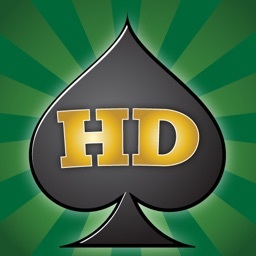 • Works on both tablets and phones. 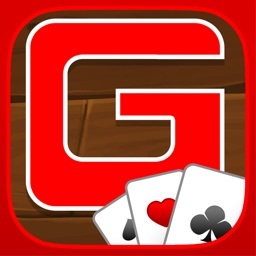 • Single-player mode for those times you don't have Internet. 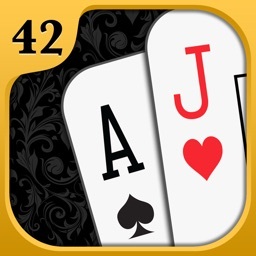 • Different card decks to customize your screen. 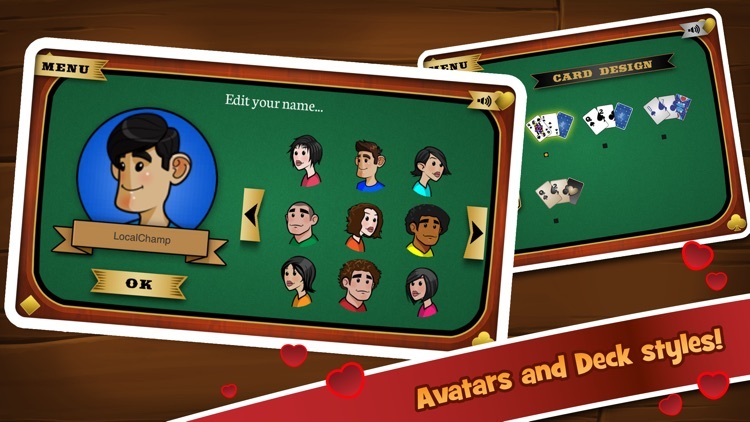 • Avatars with emotions so you can customize your player in the game. 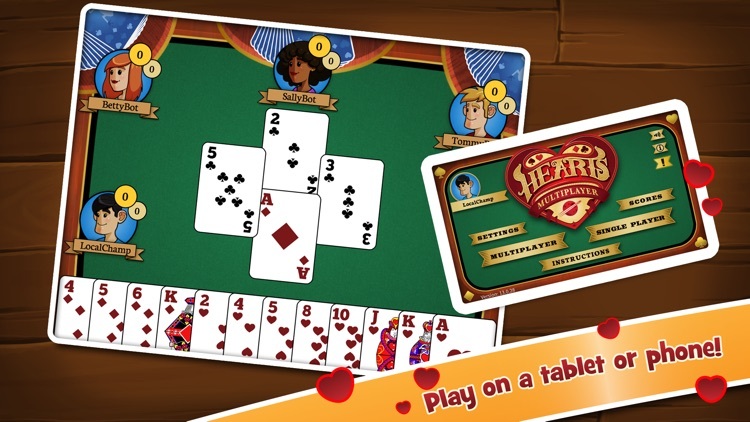 So download the free Hearts Multiplayer today and play the best free, multiplayer Hearts game!